This post is about how to collaborate on sources when doing curation as a team. 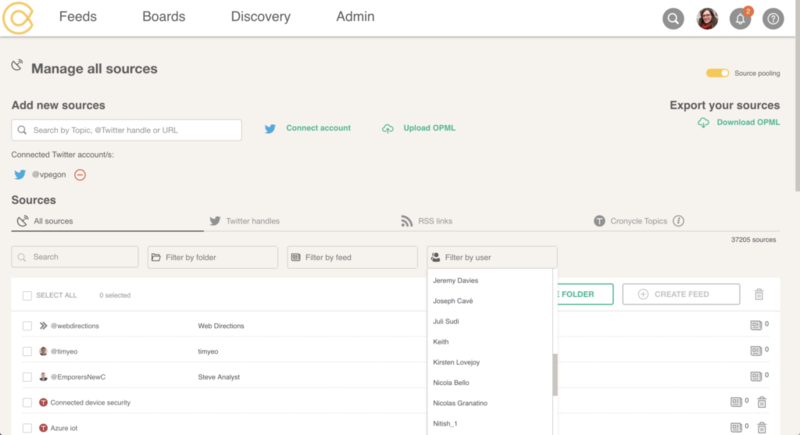 Cronycle has a unique feature – Source Pooling – that allows just that for Twitter and RSS sources, as well as Cronycle Topics. It is available with our Enterprise plan. If you use it (or consider doing it) for other reasons, let us know. It can help us improve our solution! What does source pooling do? Cronycle users who collaborate together are grouped in worspaces which we call “Organizations”. Within an Organization, team members share several work items: sources, feeds, boards, publishing, tags and contacts (for sending newsletters). When sources are shared, all users within the Organization can see all the sources of all the contributors. If Vijay adds a source, Kate will see it. And vice versa. Before you take the decision to share sources, you may want to consult your team. 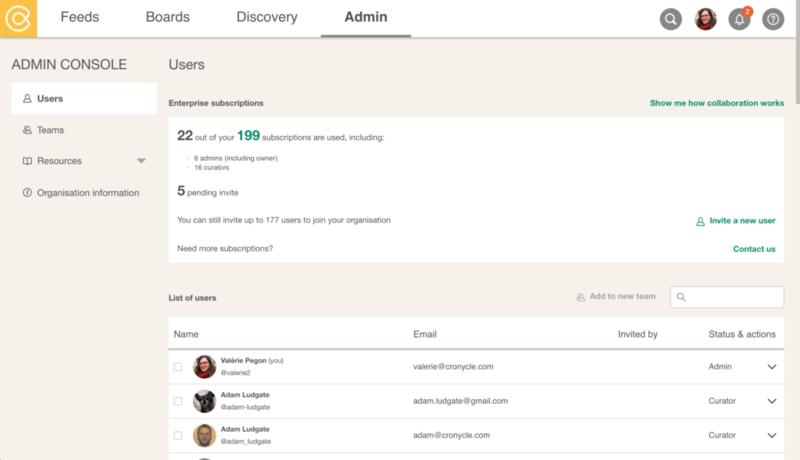 Cronycle users primarily build feeds using sources. There are two ways to do that: either from the feeds (easy mode), or from the library of all sources (advanced mode). In this second case, team members can see the amount of feeds the source is used in, and filter by user who added. Soon, we will add more information for each source (total number across the Organization, list of the feeds and their owners, who added and when). Each team member can then use the sources they and others added to create custom feeds. They can also discuss how best to structure feeds as a team. Note that we are also working on a separate feature to make feeds shared across several team members. More on that soon! Note that we don’t allow to share newsletter subscriptions, they remain personal. How to collaborate on sources? One needs to be invited by an organization admin to join and work collaboratively on sources, feeds, boards and sources. For Enterprise accounts, this happens on the Admin Console, in the Users page. When you have taken the decision to start pooling sources, go to the Admin Console. Under Resources, select Sources. There is a simple switch to enable and disable source pooling. Depending on the amount of sources across the organization, loading the whole source library could take a little longer. This is particularly true if you connected a twitter account with a lot of followees, or large OPML files with many RSS links. Now, go to your Source Library (click on Feeds, and then Manage All Sources in the bottom left). You will see that the source pooling switch is also available on this page. One of our key values, not only attached to our product but also our culture featuring an international team of 12 nationalities across 4 time zones. How can you make this work effectively with the help of technology directly impacting the way teams are engaging today? 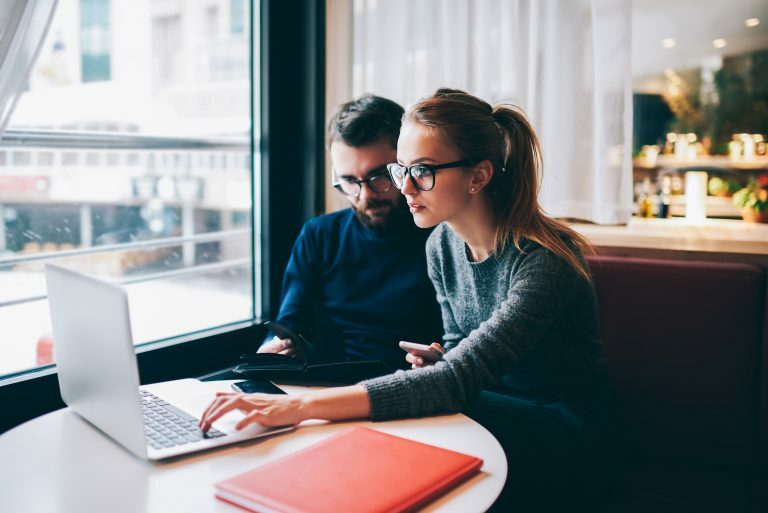 Without surprise, the hottest job title on trend currently is “Digital Nomad” – defining people who use telecommunications technologies to earn a living and, more generally, conduct their life in a nomadic manner. Such workers often work remotely from foreign countries, coffee shops, public libraries, co-working spaces, and recreational vehicles. So much for a trend though, it’s been predicted that by 2035, over 1 billion people will be working this way. Without doubt, this life isn’t for everyone, but I’m confident we have all been through office space transformations with hot-desking and remote working all very 2005. With more tools becoming available to encourage collaborative working, we see the likes of GitHub and Slack improving efficiencies, and at a rapid pace and scale. We, as employers or employees, are working smarter and more on the go than ever before. Is there a skill for Alexa to do it? The only thing that remains the same is that “we all have the same amount of time in a day, and there is no way to get more of it. It doesn’t matter how successful or wealthy one is – we are all capped at 24 hours per day.” as quoted by The Entrepreneur. In the way technology makes us evolve as humans, it also encourages us to shape and adapt our products. 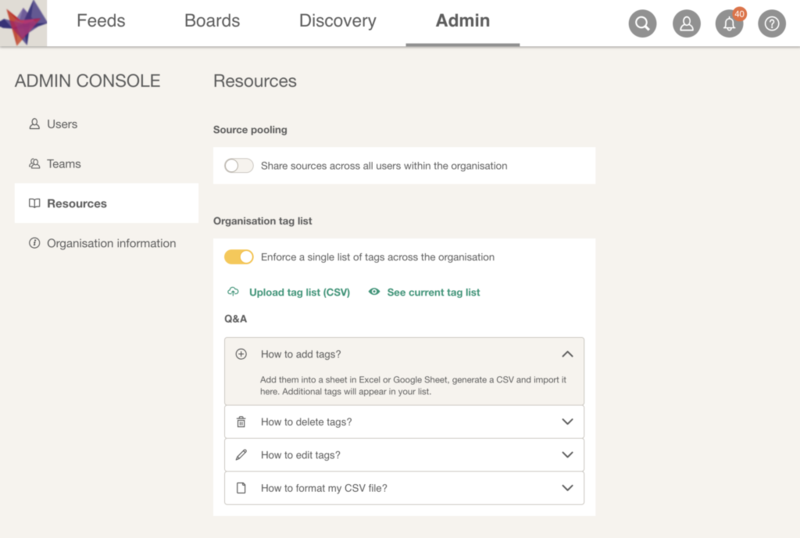 As a result, we’ve rolled-out the largest update on “Boards”. 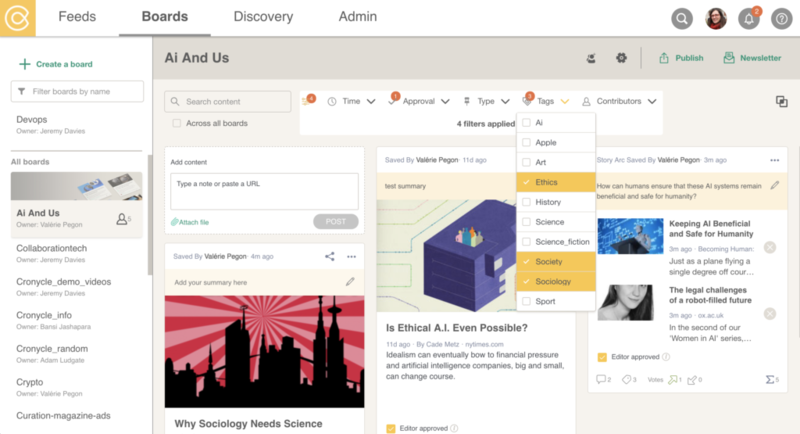 Think of a board as an enriched collaboration space online, that enables you to work on specific projects with your team and to keep track of notes, files, articles and everything in between. Roll this up with our Chrome extension clipper. This lets you clip the content directly from the web and continue collaborating as such with tagging and commenting straight to the Boards. It has never been easier to consolidate!. As Pokeshot rightly mentioned, “Find and use tools that integrate, so your employees can find everything in one place”. Leave a Comment on Not another collaboration.